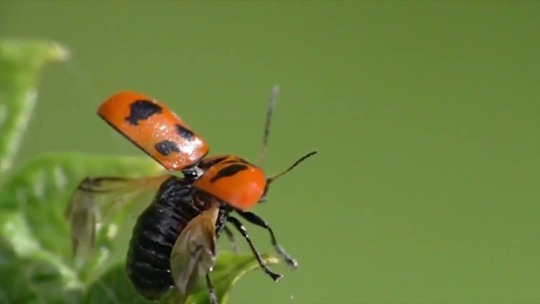 Seven-spotted Lady Beetle [link to iNat obs], recently emerged from pupa. They have to hold their wings out and unfolded while they dry/harden. The spots don’t darken until later.